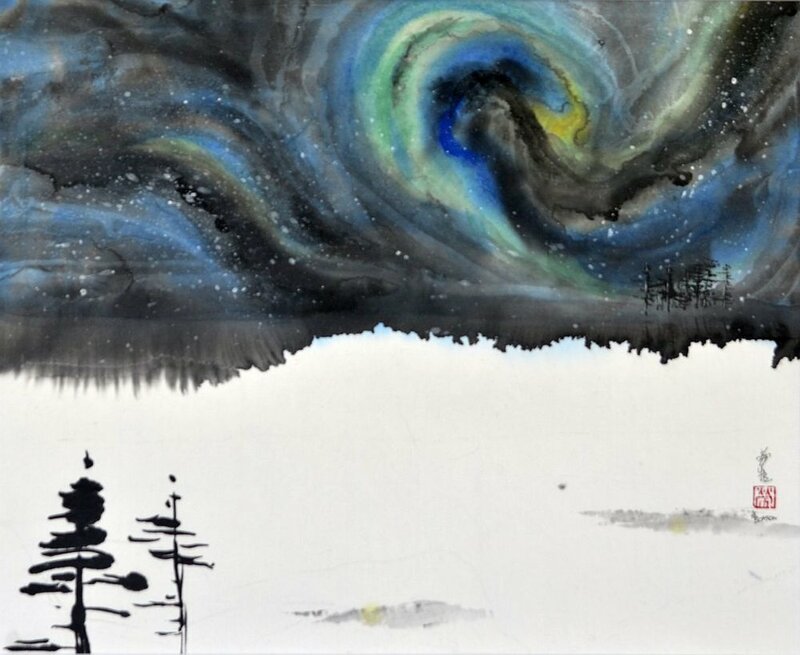 Mississauga’s Laura Beaton is a talented artist specializing in Chinese Brush Painting & Acrylics. We learn more about this renowned artist in our ongoing “Modern Artist” series. The many people from that I’ve met and talked about art, its impact on the world and society and how ultimately, it can truly bring understanding and respect between cultures. My favourite compliment received when exhibiting in China was ‘Who new foreigners were such hard workers and could be such fun?” We established mutual respect and a friendship followed. What drove you to become an artist? 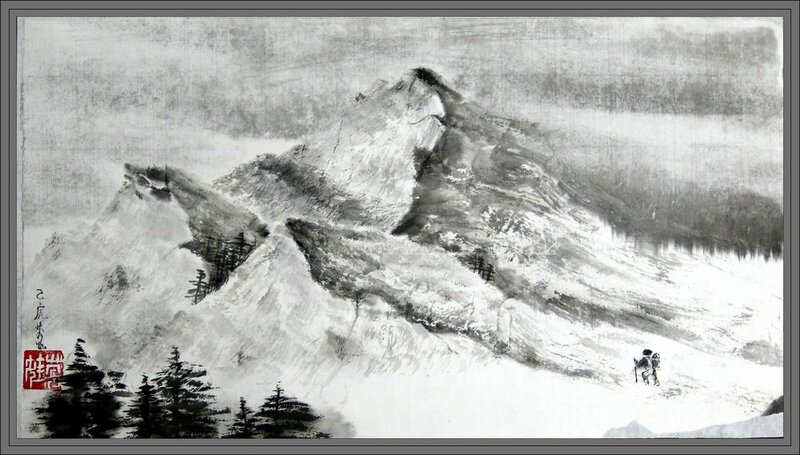 I was drawn to the world of Chinese brush painting as it is technically difficult yet freeing. I had to create chi – balance in my art, but had to first create balance in my life. It’s called ‘Life’s Journey’. I created that piece while recovering from surgery. It is of a hiker climbing up a mountain. It is what I felt life to be – up hill most of the way, but beautiful if one chooses that perspective. It’s vibrant and growing. There are so many talented and wonderful artists, musicians and writers who would like to contribute and give back to the community. Yet, North American artists are, for the most part, not well compensated for their time nor creations. Mississauga does a fabulous job of supporting artists, yet there are limited funds. Artists need improved support from all levels of government, especially given their active contribution to Canadian culture. From my experience, it appears that in many arts organizations, it is the same few people doing the majority of the work. There is burnout. Wouldn’t it be fabulous if artists could support some of these roles on an as needed basis and be compensated for their time? Who among us can truly afford to work for free? Certainly not most artists! How does winning a Marty award compare to the other accolades you've earned in your career? Winning The Marty’s in 2017 for Established Visual Fine Artist was pivotal in my art career. For the first time in The Marty’s history, the Chinese Brush Painting medium was accepted as a Nominee. Winning put Chinese Brush Painting into the spotlight and has enabled me to be an ambassador for this art form. What's your advice for up and coming artists? Up and coming artists need to believe in themselves and their dreams. Set your goals, make an action plan, work the plan, modify the plan, and keep working the plan. Don’t be afraid to make changes and adapt the plan. Don’t expect others to do it for you! How to you react to challenges, both personal and professional? They make me work harder to achieve my goals. Set-backs are the norm and I try to learn from them. I always ‘paint’ through my challenges and therefore, during difficult times I’ve created some pretty dark pieces of work. I never show them, but I keep them as a reminder of my journey and of how far I’ve traveled. Unique. Distinct. Brave. Respectful. Personal. Innovative. Surreal. I am currently working on a new abstract series using acrylics, based on my experiences in China. So many cultural and political differences, yet I’ve never felt more welcomed by complete strangers.